NOW...Here is a little video illustrating why I'm totally on board with this Airsoft SMG and am happy to have it in my arsenal. 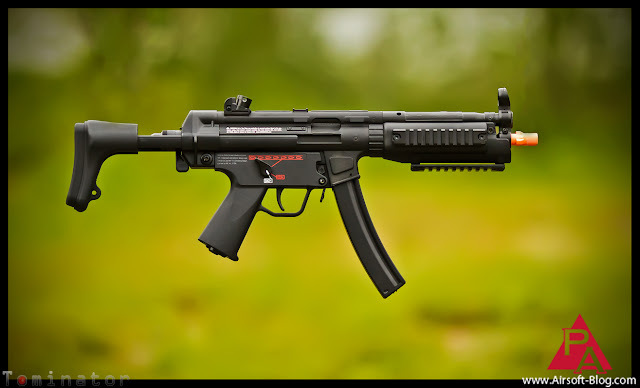 When I first set eyes on the Umarex H&K MP5 A5 Tac Electric Blowback Rifle (EBBR) in person a month or two ago, I realized a month or two ago that I've never really dealt with an MP5 on the Pyramyd Airsoft Blog here. 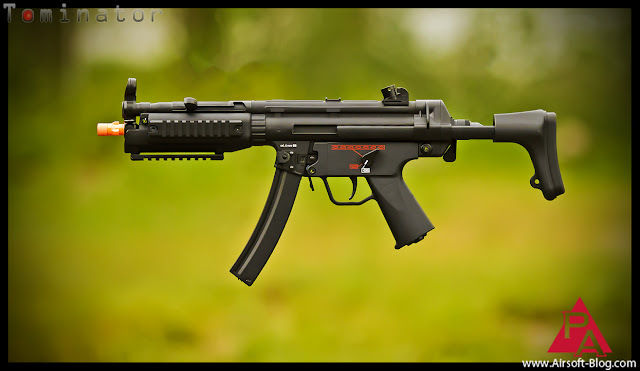 This one was so visually and physically impressive, that I figured I would check it out, in case any of you wonderful readers out there were in the market for a high quality MP5. 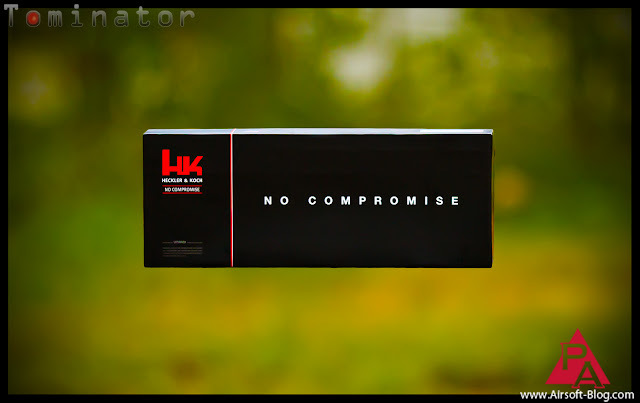 So before I get too deep into the features of the H&K MP5 A5 Tac EBBR, I'd like to take a moment to talk about the actual manufacturer that Umarex partnered with on this one. Top Tech is a relatively little known brand, at least here in the states. It does not get as much time as I think it deserves in the spotlight as its more affordable counterpart, Guay Guay, or best known as G&G. Top Tech is G&G's high end line of airsoft guns and nothing short of impressive. I recall my first encounter with the Top Tech product line at Shot Show 2011. I was at the G&G booth and picked up one of the rifles they had on their wall, thinking it was just a standard G&G M4, but this one had significantly more weight to it, with a much more solid build than I was expecting from a regular G&G rifle. When I asked their staff about it, they informed me that it was a Top Tech blowback M4. Boom. First impression: mind blown. It was really nice, as were the rest of the guns in the Top Tech line. So this MP5 being a Top Tech as well comes as no surprise.